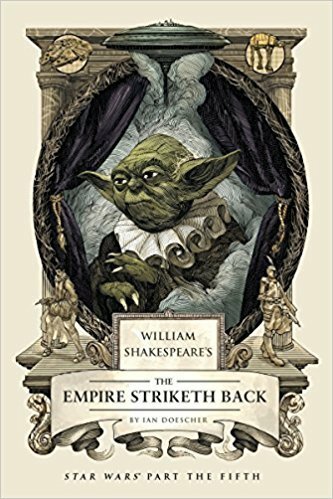 Classical Theatre Company will present a staged reading of William Shakespeare's The Empire Striketh Back by Ian Doescher. It is a follow-up to our previous readings of William Shakespeare's Star Wars from Comicpalooza's past. Many a fortnight have passed since the destruction of the Death Star. Young Luke Skywalker and his friends have taken refuge on the ice planet of Hoth, where the evil Darth Vader has hatched a cold-blooded plan to capture them. Only with the help of a little green Jedi Master—and a swaggering rascal named Lando Calrissian—can our heroes escape the Empire's wrath. And only then will Lord Vader learn how sharper than a tauntaun's tooth it is to have a Jedi child.